Now here’s a beer that already had a place in my heart before the first drop touched my lips. I moved to Victoria in 1997 before the term ‘craft-beer’ had been coined. I discovered Piper’s Pale Ale after years of being subjected to only fizzy yellow beer produced in high quantity and low quality. Piper’s was the beer that gave me that “AaaHaaaa!” moment when I suddenly knew beer could be so much more. I haven’t looked back, until today as I fondly remember my first exposure to good beer and tasted a preview of what was to come. Vancouver Island Brewing Company has released their 30th anniversary ale, a homage to the great Piper’s Pale Ale that helped pave the road to what the craft beer scene has become in Victoria today. Congratulations to Vancouver Island Brewing on thirty years! This beer packs plenty of robust caramel and toasty malts which are supported by both North American and noble hops. Medium carbonation and a juicy mouthfeel make this big beer remarkably smooth. Available now in most craft beer stores in Victoria. Join the brewery in raising a glass to celebrate thirty years of making great beer at their anniversary party on May 3rd from 1-5pm. 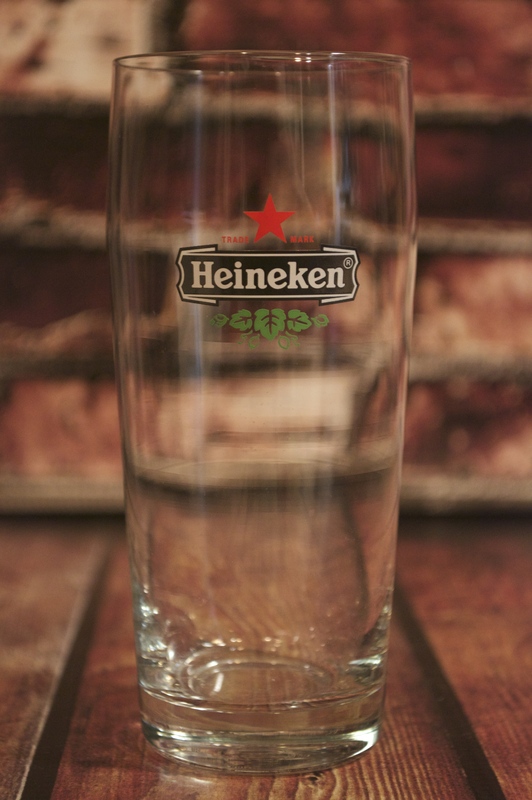 Glassware: Tulip pint or stemmed tulip. At a whopping 18.2% ABV, this is to date, the strongest beer this writer has ever drank. It pours deep black, what I imagine a charcoal factory would look like if it burned to the ground. The nose is incredibly boozy, only allowing small whifs of sweet fruit. Once you muster up the bawbag to swallae a tad down yer gob, the sweet malts are found to be of molasses, berries, leather, and plenty of oak. I’d suggest sharing this little bottle with a friend unless you’re well-versed in Russian Imperials or you may find yourself without use of your legs for awhile. Brewed with Jasmine and Cranberries. Dry-Hopped then aged on oak chips. In December, I cooked this scrumptious dish originally with Father John’s Winter Ale. Since that’s no longer available, I’ve chose one of my favourite beer styles that will equally compliment the dish with it’s big malt profile and high ABV for breaking down proteins during the marinade which tenderizes the meat. Day 1: Pour 1/3 of a bottle into a thistle or tulip glass, enjoy at your leisure. Place the roast into a steep-walled bowl for marinading. Pour the remainder of the bottle onto the roast, it should be approximately 2/3 submerged in beer. Cover and refrigerate for 18-24 hours, rotating the roast at least once or twice so both sides have a chance to soak. Life is like a bath. The longer you stay in the more wrinkly you get. Day 2: Open the second bottle, pour yourself a glass, keeping about 1/3 bottle for the roast. Pull the roast from the fridge about 30 minutes before you’re ready to cook to allow it to come to room temp. Preheat the oven to 325 degrees Fahrenheit. Place the roast on a roasting pan with raised rack, ensuring fat side of the roast is up. Cook for one hour and pull out to quickly baste with beer, do this again 30 minutes later (save some for the gravy). Cook until internal temperature reaches 140 degrees Fahrenheit for medium rare or until your preferred level of doneness. Remove roast from pan and let sit for 10 minutes covered with foil. For the gravy, place roasting pan on stovetop burners set to very low heat. Add butter, the remainder of beer, peppercorns and worcestershire sauce. Deglaze the drippings by whisking vigorously. Once the dripping have freed from the pan and blended, slowly add flour until desired thickness achieved. Slice the Wee Roast Beastie and serve. Suggested side dishes are Yorkshire pudding, grilled asparagus, and roasted yams. Anybody who has met me in the context of beer has likely heard me talk about the one beer that melted my knees for several hours while my wife constantly told me to shut up and drink it. Of course I’m talking about the dissident from Deschutes Brewing; see the dissident. Known simply as Collage, these four infamous beers were threaded together then further aged in various oak barrels. Did you know that the stream of beer that comes from a cask is known as a thread? In fact, many years ago publicans in Britain would often thread multiple beer together right at the bar to suit their customers likings and as a means of disguising some of their off-flavour beer so that they didn’t have to dump it. How do I accurately describe four beer that have been in barrel after barrel? Let’s see…woody, sour, sherry, cherry, vanilla, warming, raisins, bourbon, leather…it’s tough to nail it all down but it’s pretty spectacular. Now for the hard part, it’s not all sunshine and roses. I recently busted someone down for their price point and this beer was far more expensive. With two breweries involved combining four beers and a multitude of barrels, travel, and shipping, do I think this beer warranted it’s high price? Yes, I actually do and I may go buy another. As we all know, BC Government took a long look at many of their liquor laws and spoke to the public to get some feedback and will soon be implementing a great deal of changes. Firstly, I’d like to applaud the government for taking the effort to modernize and bring their laws inline with the public interest and safety. Some of the changes are being lauded, while others are raising some eyebrows. I’ll review some of the most significant changes coming our way and offer my opinions which is entirely my own, so feel free to leave a comment and tell me that I’m wrong. Opinions and the internet seem to go hand in hand like Rob Ford and an excessive amount of lame jokes, but that’s just my opinion. Minors in pubs – As the father of a toddler, I cautiously endorse this change. Similar laws are in place in other provinces, many states and has been the standard in Europe for centuries. I’ve witnessed these establishments first-hand and found that it worked very well having kids with their parents. The benefits go well beyond allowing Mom or Dad to have a pint of beer with dinner. It creates an environment where the children can be witness to responsible drinking, provided the parents are responsible. That comes down to good parenting. Sure the children may witness another patron who is perhaps enjoying themselves too much and acting inappropriately, but again this is where children learn the differences between responsibility and inappropriate behaviour with guidance from the parents. Venue choice is something the parents need to consider. Would I like to bring my daughter to wing night at Moon Under Water? Absolutely. Would I bring my daughter to happy hour at Big Bad John’s? Not on your life. Like any change, this may seem strange at first and there will be some struggles but with time I’m sure the establishments and patrons will find a balance. Liquor sales in grocery stores – This one is touchy. Nobody including the Province really knows quite how this may look and it will be a difficult undertaking. I don’t believe the average grocery shopper is seeking out the newest, wildest, premium Beer, wine and spirits. I think those who do buy their drinks at Thrifty’s will be picking up a case of Lucky on their way to a BBQ, or a bottle of red anything to go with dinner at the inlaws. Will this hurt our cherished craft beer stores? Undoubtedly. Does this set-up work in other places? Go visit Whole Foods in Seattle and tell me. I don’t truly believe that most grocery stores will be willing to give up a large amount of real-estate for liquor. Will there be a store in a store? Will seventeen year-old clerks start asking people twice their age for ID? Will it make it easier for minors to gain access to alcohol? Nobody quite knows yet, but it will be interesting to see how all of this plays out. Taking down the beer garden gates at festivals – I’m in huge favour of this one. I love the Rock the Shores festival and it’s getting better and better every year, but I HATE lineups and so does everyone else. I also don’t like having to separate from my family to enjoy a beer like a depraved alcoholic. If people are free to wander the grounds with a beverage in hand, they can enjoy slowly and at their leisure instead of slamming down a few in the confines of the beer gardens before heading back into general population. Do we need to have a beer in order to enjoy a festival, no but it’s nice to have a cold beer on a sunny day while listening to some great music and feel like you’re just one of the crowd. The need for less fencing, less lineups, less security could also ease the costs for organizers and hopefully festival-goers. An increase in security roaming the crowd to ensure minors aren’t drinking may be necessary, which should easily be offset from all of the aforementioned resources that won’t be required. Let me know what you think, opinions are open-ended and subject to change with information. Today’s write up was on the dry side, so I’ll promise to spice things up for the next one. First, a quick history lesson about porter. Did you know that there was a beer flood in 1814? It’s true. And it was deadly. No this isn’t another disaster movie. On October 17th, 1814 an aging vat containing more than 600,000 litres at the Meux and Company Brewery burst and took out more vats in it’s wake spilling nearly 1.5 million litters of porter into a poor borough of London killing eight people. Some were drowned in their basement homes, while others died from alcohol poisoning after giving in to the temptation of beer literally flowing in the streets. Onto the beer in hand. Before us today is an Imperial Porter from Central City Brewing Company’s new multi-million dollar brewery. At $15 per bottle this should help them pay for it, but that’s another discussion. An Imperial Porter is a bit of a misnomer due to the fact that only Russian Imperial Stouts are the true Imperial beers from their lineage back in Catherine the Great’s era of imbibement. This big bad boy comes from a combination of barrel-aging and blending some old and some new, a method that’s been around for centuries. With plenty of notes of wood, vanilla, coffee, and a bit of maple syrup. It drinks very smoothly for a big beer with a big ABV, there is some hot booze but in a comforting “Grandpa’s medicine” kind of way. Ignoring the price tag, I’d comfortably give this a 4/5 but I’m marking it down to 3.5 for the gouge. From Eugene, Oregon comes Ninkasi‘s Doüble Alt Ale, “Sleigh’r”. Altbiers are a unique style that originated in the Rhineland region of Germany. Unlike modern monikers like Alt-rock, it does not mean alternative and no matter how many times I press the ‘alt’ key on my keyboard, beer refuses to pour from my computer screen. Suitably, ‘alt’ comes directly from the German word for ‘old’, since Altbier is considered to be one of the oldest styles of beer in the world. What makes this style rather unique is in it’s brewing process. As a top-fermented beer this is most-decidedly an ale, however modern Altbiers are made with a lager yeast, fermented and aged at cooler temperatures, a process known as ‘lagering’. This process is what gives Altbier the crisp and smoothness similar to a lager. Although it finishes darker on the SRM scale (13-19), it is noticeably quite clear from the cold conditioning. How you ask is one of the oldest styles of beer in the world brewed with lager yeast, since lagers have only been around for 175 years or so? I thought you’d never ask. The process of lagering has been around much longer than the beer of the same name and has only been made with lager yeast since lagers were first produced in Germany when they became profoundly popular across the country. Not to bore you any longer, I’d suggest you dig out the books and learn for yourself should you be so inclined. I’d recommend The Oxford Companion to Beer by Garrett Oliver or Michael Jackson’s Beer Companion for starters. Sleigh’r is a Doüble-Alt which simply means it’s stronger than a basic Altbier. You will also see the term ‘Imperial’ used before a basic beer style (Imperial IPA, Imperial Stout etc), which means the same thing as ‘Double’ or ‘Doüble’ in this case. Traditionally Altbier are enjoyed in a straight-sided glass known as a ‘stange’ (German for stick). However, in this festive season I chose something a little more fun. As this beer is a seasonal it won’t be around for long so grab one soon to try it for yourself. A typical stange glass, some are tapered to concentrate the nose.